Our founder Abraham Van Vechten, born in 1762, was the first lawyer admitted to practice in New York after the adoption of the State Constitution. This occurred in October 1785, and, as a result he was forever known as “The Father of the New York Bar.” Initially, he practiced in Johnstown, but soon came to Albany, where he rose to prominence. He had several matters with Alexander Hamilton, Aaron Burr, Daniel Webster and the other leading lawyers of his generation. In the early part of the 19th century he partnered Anthony Van Schaick, another prominent Dutch lawyer. He trained many young attorneys including his nephew and protégé Teunis Van Vechten who joined and later succeeded to his practice. Throughout his career he represented Stephen Van Rensselaer III, the Dutch “Patroon,” who was the major landholder in upstate New York, and one of the wealthiest individuals in United States history. He is the founder of the Rensselaer Polytechnic Institute (RPI) in Rensselaer, New York. Abraham Van Vechten participated in several significant cases, including the famous US Supreme Court precedent Gibbons v. Ogden. At the same time as he practiced law, Van Vechten held a number of public offices, including State Assemblyman, State Senator, and Attorney General. He was one of the first directors of the Bank of Albany. He died in January 1837. Abraham Van Vechten’s portrait hangs in the home of New York’s highest court, the Court of Appeals Building in Albany. 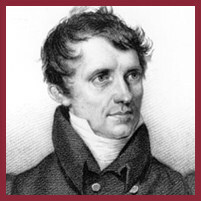 James Fenimore Cooper’s family was originally from New Jersey. The family bought former Iroquois lands in what is now Cooperstown and moved there in 1790 to a mansion called Otsego Hall. Cooper went to Yale but was expelled for a dangerous prank that purportedly involved blowing up another student’s door. He previously locked a donkey in a recitation room. Cooper then joined the Navy. At 20, Cooper inherited a fortune from his father and was living the life of a country gentleman. In 1821, at the age 30 or so, his wife bet him that he could not write a book better than the one she was reading. Cooper then began his career as a novelist. The Last of the Mohicans is one of the most widely read novels throughout the world. Mark Twain criticized Cooper’s romanticized version of the American frontier, which has remained etched in the American collective consciousness for generations. The frontiersman, Natty Bumppo, was portrayed as strong, fearless, and ever resourceful. Chingachgook, the last of the Mohicans, was portrayed as stoic, wise, and noble. On the other hand, Magwa, a rival Huron chief, was a hard and vengeful man. These are certainly characteristics evident across the spectrum of human beings of all races and nationalities. Yet, in choosing to portray Chingachgook in that manner, Cooper’s work certainly evoked sympathy for the declining Native American population. Cooper’s son Paul Fenimore Cooper and his grandson James Fenimore Cooper were both attorneys and partners in the law firm that eventually came to be called Cooper Erving & Savage. Anthony Van Schaick was born in 1779 to a prestigious upstate New York Dutch family. He graduated from Union College in 1803 and, shortly thereafter, studied the law with Abraham Van Vechten, the firm’s founder. After being admitted to the bar in 1806, he formed a partnership with Van Vechten with whom he practiced until his untimely death in 1822 at age 43. Teunis Van Vechten,was born in 1785. He graduated from Union College in 1802, and studied law with his uncle Abraham Van Vechten. After being admitted to the bar in 1806, he joined his uncle and later succeeded to his practice, representing the Van Rensselaer patroonship. He had a long and distinguished legal and civic career, spanning nearly five decades. In addition to his uncle, Teunis Van Vechten practiced with several other noted attorneys, including Ebenezer Baldwin, John Davis, Judge Daniel Cady, Samuel Wilkeson, Col. Duncan Mc Martin and Charles M. Jenkins. He was known as a strong practical lawyer of sound judgment and scrupulous integrity. Van Vechten possessed a deep sense of civic duty in his native city, having served as Mayor of Albany for four terms. He also served as Alderman. He was the trustee of Albany Academy, director of the Bank of Albany and the Albany Insurance Company. 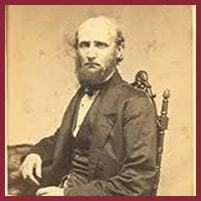 In 1850, he was disabled by a severe stroke and retired from the practice of law. He died in 1859, and was eulogized by Rev. E. P. Rogers in the published treatise The Strong Staff Broken: a discourse in memory of Hon. Teunis Van Vechten: pronounced Sunday February 13, 1859. 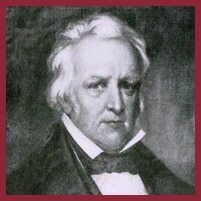 Ebenezer Baldwin, born in 1790 in New Haven Connecticut, graduated from Yale and attended Litchfield Law School, the nation’s oldest proprietary law school. He then came to Albany and was admitted to the New York bar in 1813. He was a diligent and effective lawyer and became a firm partner in 1820. During his career he served as the Albany County Surrogate, Albany City Recorder and as a Master in the Chancery Court. In addition, he was the Military Aide to Governor DeWitt Clinton and held the rank of Colonel. A highly intelligent and forward-thinking person, he strongly supported Clinton and his projects, including the building of the Erie Canal and a proposed railway between New York and Boston. In 1828, due to failing health, Baldwin retired from the practice of law and returned to Connecticut. He went on to publish several books including the Annals of Yale College. His younger brother Roger Baldwin also practiced law and famously defended the rights of the Africans in the landmark Amistad case. Roger then went on to become governor of Connecticut. In 1838, Ebenezer Baldwin died at the age of 47. Daniel Cady was born in 1773 and admitted to the bar in 1795. He was one of the leading lawyers of his generation, having cases with Aaron Burr, Thomas Emmett and the firm’s founder Abraham Van Vechten. He argued many important cases, including the landmark case People v. Godfrey in 1819. In 1843, Daniel Cady joined the firm as a partner of Teunis Van Vechten. He left in 1847 to become a New York State Supreme Court Judge, and, in 1849, was an ex-officio Judge of New York’s highest court, the Court of Appeals. He trained two of his son’s-in-law, Samuel Wilkerson and Duncan McMartin, who were also members of the firm. Judge Cady had a strong belief in public service. In addition to his judicial posts, he served as District Attorney, New York Assemblyman and United States Congressman. He is the father of Elizabeth Cady Stanton, the famous women’s rights pioneer. In 1855, after a long and distinguished career he retired. He died in 1859. 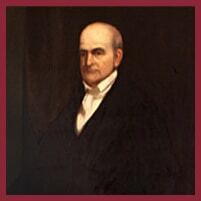 His portrait hangs in the Court of Appeals Building. Samuel Wilkeson Jr. was a partner from 1843 to 1846. He was trained by his father-in-law, Judge Daniel Cady, another firm partner. 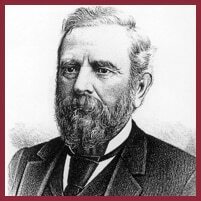 In his later years Wilkeson went west and became heavily involved in the development of the Northern Pacific Railroad. Samuel Wilkeson’s portrait by photographer Mathew Brady is on view at the Smithsonian Art Museum. Duncan McMartin (Partner 1846-1852) was born in Fulton County New York and married Margaret Cady, Elizabeth Cady Stanton’s sister. He was initially trained by Judge Cady and then attended Harvard Law. He practiced in Albany with Teunis Van Vechten and Judge Cady. At the time of the Civil War McMartin joined the Union army as colonel leading the 153 NY Regiment. After the war, his life took a path away from the practice of law. He moved to Iowa and became one of the largest and most successful landowners in that State. Paul Fenimore Cooper, Partner (1850-1895) Son of the famous author, James Fenimore Cooper. He was raised in France for his first 10 years. Studied law at Harvard Law. 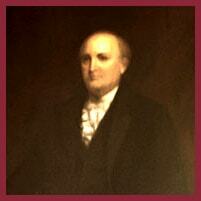 He joined the firm in 1850 with Duncan McMartin and Charles M. Jenkins as partners. McMartin left in 1854. He had a home in Cooperstown , but when in Albany lived with his family in the historical Albany Academy building. With Jenkins, he represented the Stephen Van Rensselaer estate among other prominent clients. He was quiet an and unassuming and had great pride in his family heritage. He served on several prestigious boards, including the Albany Institute and Albany Academy. Charles Mulford Jenkins was a partner from 1850 to the mid 1890’s. In January 1900, at age 90, Jenkins died, having been the oldest practicing lawyer in Albany. 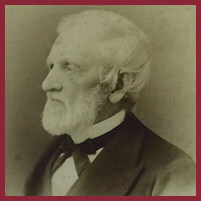 Jenkins joined the firm in 1850, as a partner of Teunis Van Vechten and Duncan McMartin. Shortly thereafter, Van Vechten retired due to illness and Paul Fenimore Cooper joined the firm. McMartin left in 1854, and the firm became known as Jenkins & Cooper and remained so for the next three decades. Stephen Van Rensselaer III died in 1839. During the 1840’s, the tenants of his lands, prompted by his heirs’ effort to enforce rents, fought an armed rebellion (known as the Anti-Rent Wars) to eliminate all vestiges of feudalism from Upstate New York. As a result, the type of lease that tied the tenant farmers to the land was made unlawful by the 1846 New York Constitutional Convention. Nonetheless, legal battles followed over back rent and Jenkins and Cooper represented the rent claimants. The State, on behalf of the tenants, challenged the validity of the manorial titles. 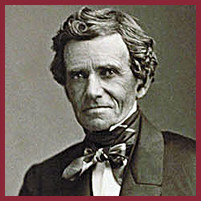 In 1853, Charles M Jenkins, achieved a victory on behalf of the Van Rensselaers in the significant Court of Appeals decision People v. Van Rensselaer, 9 N.Y. 291 (1853), where Court held land titles devolving from the Dutch crown were valid and enforceable.